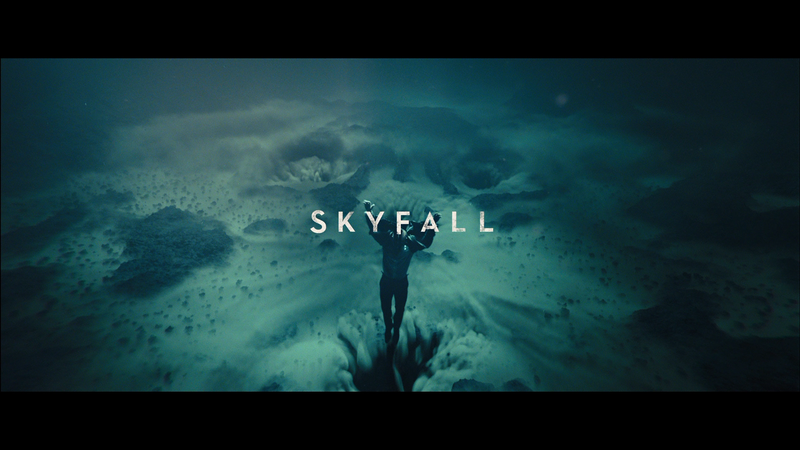 Skyfall is a fun entry into the long-running James Bond series. Daniel Craig is still a fantastic Agent 007 and while it’s entirely possible this movie gets more praise thanks to lower standards of the previous outing, I still found it to be highly entertaining. Javier Bardem makes for a great villain and Adele’s theme song is one of the best and really brings back that classic feeling. The latest entry into the James Bond franchise, Skyfall, is interesting as it not only is completely separate from its two predecessors, Casino Royale and Quantum of Solace, but also basically hits the reset button for future sequels with and without Daniel Craig. The story opens in the middle of a mission with Agent 007 James Bond (DANIEL CRAIG) as he tracks a missing hard drive which contains the covert names of agents around the world who, if decrypted, will put them in danger. With the help of fellow MI6 operative Eve (NAOMIE HARRIS), Bond chase down the man who not only stole the drive but also took out a fellow agent. The pursuit leads them through Istanbul crashing into cars, fruit stands and whatever is in the way before Bond and the killer land on top of a train where the real insanity, though all in Bond-style, begins: He uses a machine to rip off the back of the train landing inside to continue the chase. Eventually the pair are on top of a passenger car going mano-e-mano with Eve set up on top of a vantage point with her scope trying to lock in on the killer and despite not having the shot is ordered by M (JUDI DENCH) to take the shot which hits Bond as he plummets into the water below and allows the killer to go free with the hard drive intact. Cue the cool opening sequence which, for me, is the best in a long while, and that includes the theme by Adele. It is a great theme worthy of the Academy Award nomination. We fast forward a few months where M is called into the principal’s office of Mallory (RALPH FIENNES) to be held accountable for her actions as the first few names from the list were leaked and those agents ceremoniously killed and shown on television. She gets a polite scolding from Mallory who lets her know in no uncertain terms that her time heading MI6 is coming to an end, though being defiant M does not want to leave the agency in worse shape than when she found it. As M travels back to MI6 headquarters, she receives discovers the hard drive was being accessed again and upon doing a trace discover it’s originated inside MI6 and M’s own computer. Soon after, her office explodes and is engulfed in flames as M looks on from the freeway a short distance away. The blast kills several workers and the news manages to reach an isolated Pacific island where James Bond is alive and well, in the company of a beautiful woman and spends his time and money (not sure where he got it) on booze. When he learns of the news, he comes back from the dead and at M’s apartment, reports for duty one more time. There’s some investigation going on as Bond tries to track down the mastermind which includes seducing an exotic woman named Sévérine (BÉRÉNICE MARLOHE) who was abused when she was younger and later taken under the arms of a ruthless man whom is behind all the events and despite her warnings, Bond still wants to meet this man. After some hanky-panky in the shower, a boat takes the pair to a deserted island where the inhabitants had fled believing there was a gas leak. 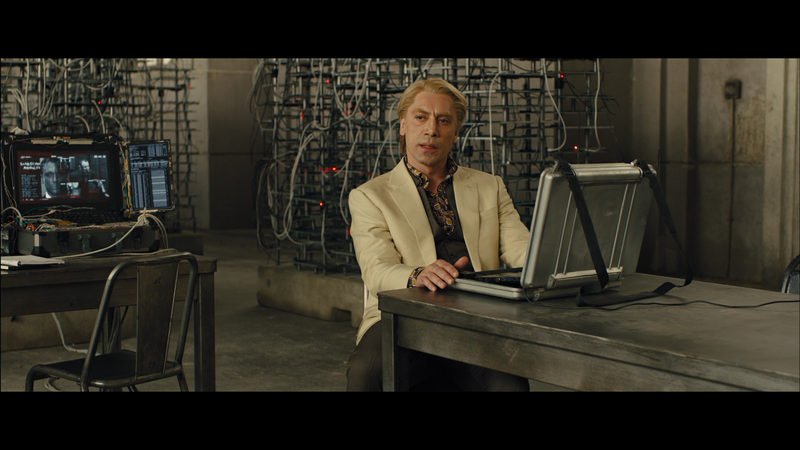 Now James is introduced to Raoul Silva (JAVIER BARDEM), a former MI6 agent who worked for M in Singapore. He’s a master genius with more network capabilities than Microsoft and Apple… combined. After some banter, Silva gets captured and put in an isolated chamber at MI6’s new underground headquarters. But, as with the Joker in The Dark Knight, it was all “part of the plan”. The third act does delve into Home Alone territory but I thought it was effective enough with high-octane, over-the-top explosions and an ending which is actually pretty cool making Skyfall more or less an origin story and first film for a new legacy for Daniel Craig and beyond. Daniel Craig continues to show that, at least for the 21st century, he is the right man to play the dashing and dangerous secret agent. He’s part brute force, the biggest change from Pierce Brosnan’s more finesse version. I know some never liked the look of Craig in the role, but I think he fits perfectly and with Skyfall shows an ability to adapt from a more realistic, down-to-earth universe that Casino Royale and, to a lesser extent, Quantum of Solace, to some more classic 007 with more fantasy-action. 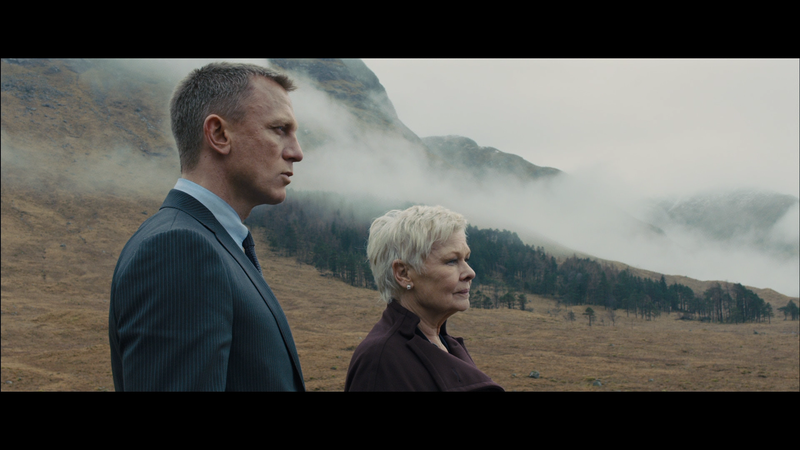 The last remaining holdover from the previous regime, Judi Dench once again shows grace and toughness as M, playing up a motherly role opposite Craig’s James Bond. It’s an interesting contrast between her interactions with Craig versus that with Brosnan which was a bit more antagonistic. But it’s been nice to see Dench over the course of now nearly 20 years, second only to Bernard Lee, though he played the part in a different era (1960s-1970s) where films would be released about every other year. Javier Bardem probably plays the best James Bond villain in a long while as the others, even going back to the Brosnan years save perhaps for Sean Bean in GoldenEye, is the most memorable and dangerous even if his plans require a ton of foresight and plain ‘ole luck. He doesn’t have a complicate back-story and his motives are rather simple (revenge), but sometimes simplicity is for the best even in a James Bond movie. I liked the fact he wasn’t out to rule the world, take over an oil supply or, the lamest of them all water (Quantum of Solace). 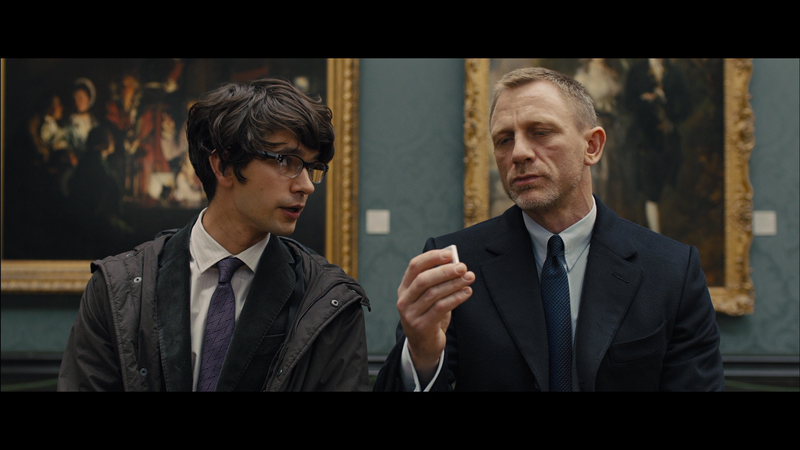 Lastly, I’m glad they’ve finally included Q and although Ben Wishaw (Cloud Atlas) doesn’t have that many scenes, I enjoyed the beginning of a playful/antagonistic friendship between him and Bond. Wishaw is a suitable replacement from the legendary Desmond Llewelyn bringing the character into the 21st century and presenting an interesting angle/wrinkle that the character is vastly younger than Bond. Unlike Quantum of Solace (directed by Marc Forster) Skyfall benefits from a better though-out screenplay and perhaps not as much of a rush thanks to the writers’ strike. Sam Mendes does a fine job in what is his first action film at the helm following successful dramas American Beauty, Road to Perdition and Revolutionary Road. The action is well done and the pacing far better executed making for an enjoyable entry into the franchise. The film was also written by writing team Neal Purvis and Robert Wade (who have worked on four previous outings) with 3-time Academy Award-nominee John Logan for additional work. At the end of the day, Skyfall is a fun entry and while it doesn’t compare to the Sean Connery years or even to Casino Royale which remains my favorite, it still is a cool film which basically presses the reset button paving the way for more classic Bond films in the future with or without Daniel Craig. Yes, there are some flaws in the story yet I am able to overlook them as the action is well done and Daniel Craig once again kills as 007. Javier Bardem also makes for one of the better Bond villains, certainly superior to anyone during the Brosnan years (again, save for Sean Bean in GoldenEye). This release comes with a matted slip cover. Inside is a slip with a download code to use for UltraViolet Digital Copy and/or standard Digital Copy (compatible with iTunes). Commentary Tracks – There are two tracks included: 1) Director Sam Mendes and 2) Producers Barbara Broccoli and Michael G. Wilson and Production Designer Dennis Gassner. Both of these are fairly interesting revealing different aspects of the film depending on the commentary. Mendes delves into the actual filming with shots, working with the actors and such while the second deals with more behind-the-scenes parts. Of the two, I do prefer Mendes as it’s a tad livelier by comparison. 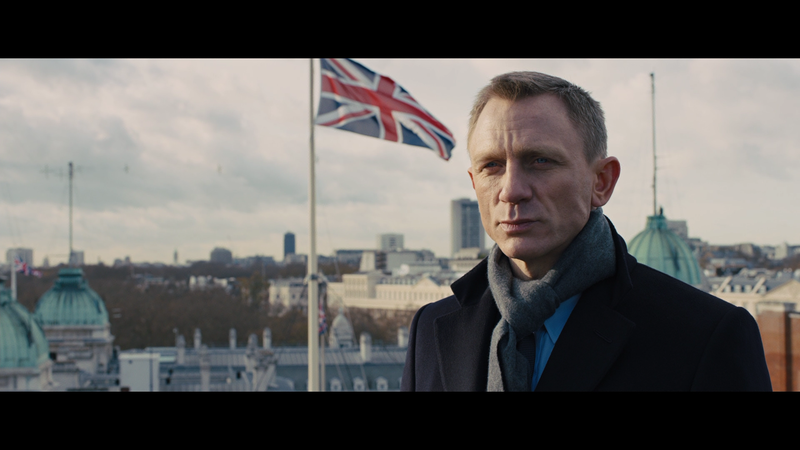 Shooting Bond (59:24; HD) – This is a 13-part featurette, viewable via Play All or individually, covering a variety of aspects to filming Skyfall: “Opening Sequence”, “Title Sequence”, “007”, “Q”, “DB5”, “Women”, “Villains”, “Action”, “Locations”, “Music”, “Edn Sequence”, “M” and “The Future”. It’s a fascinating look into how the movie was made and providing insights from the cast (Daniel Craig, Judi Dench, Javier Bardem, etc.) and crew (Sam Mendes, the writers, etc.). Anyone who is even remotely interested in the process, this is well worth watching. Skyfall Premiere (4:28; HD) is merely coverage of the big opening for the latest James Bond film. 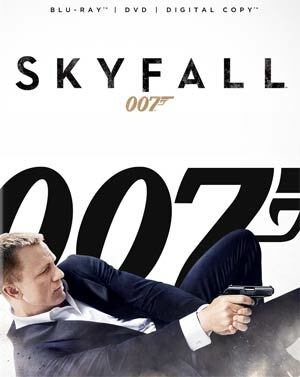 Twentieth Century Fox releases Skyfall with an incredible looking 1080p high-definition transfer (MPEG-4 AVC codec) presented in its original 2.40 widescreen aspect ratio. It shouldn’t come to any surprise that this movie looks as good as it does with excellent detail levels, some wonderful and balanced colors and an overall look which seems to match the theatrical viewing quite nicely (from my memory at least). There is a fine amount of natural film grain which only adds to the theatrical-like experience. The disc offers up a robust and resounding 5.1 DTS-HD Master Audio track which shows off the numerous action sequences including a fine balance in the front and rear channels. There are also some quieter moments of course and those also sound nice and clear being able to understand what is said (for the most part as the British accents do get rough). Again, like the video, this lossless track is impressive and immersive. 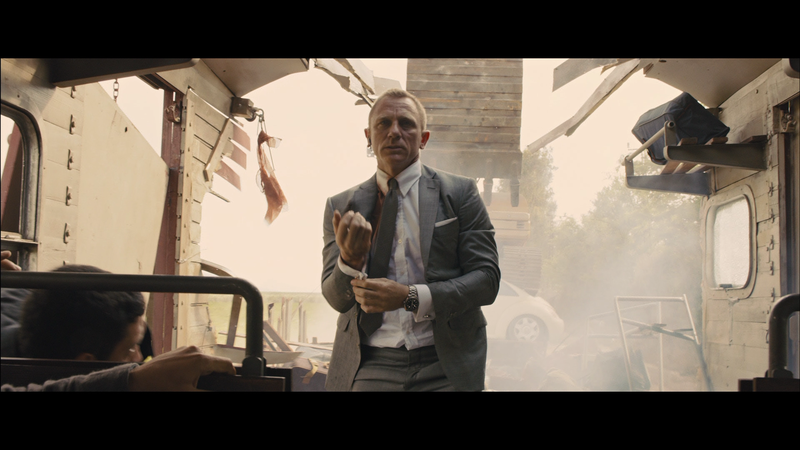 Overall, Skyfall is a fun entry into the long-running James Bond series. Daniel Craig is still a fantastic Agent 007 and while it’s entirely possible this movie gets more praise thanks to lower standards of the previous outing, I still found it to be highly entertaining. Javier Bardem makes for a great villain and Adele’s theme song is one of the best and really brings back that classic feeling doing away with rock guitars that the others have had. The Blu-ray itself has some great features and the audio/video transfers are both excellent. Good review. Not the most perfect Bond movie to come out in recent time, but still a very good one none the less and one that makes me hype for the next couple of movies they have planned.